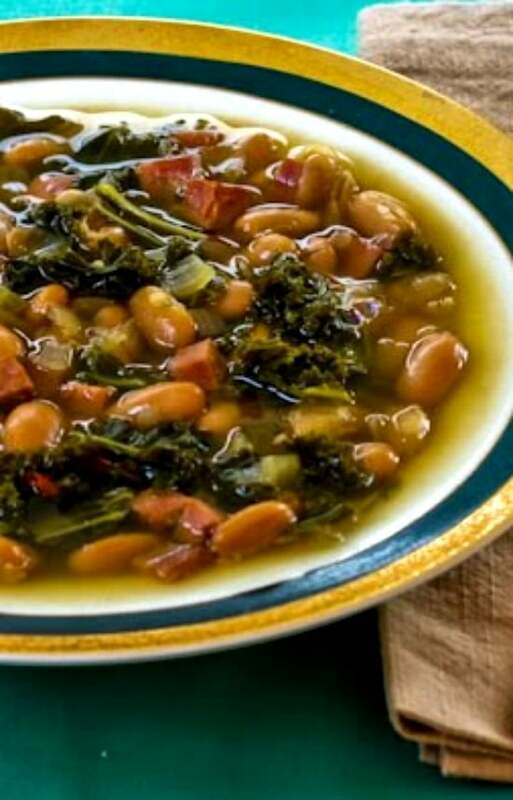 Slow Cooker (or Stovetop) Cannellini Bean and Kale Soup with Ham can cook all day; serve this tasty soup with a drizzle of sherry vinegar for added flavor! Have you joined the kale fan club yet? Dark leafy greens like kale have more nutrition than any other type of food, and if you haven’t cooked with kale much yet using it in soup like this is a good way to give it a try. The slow cooking sweetens the kale, and this Slow Cooker (or Stovetop) Cannellini Bean and Kale Soup with Ham from Kalyn’s Kitchen might be just the dish to introduce your family to kale! Get the complete recipe for Cannellini Bean and Kale Soup with Ham and Sherry Vinegar from Kalyn’s Kitchen. 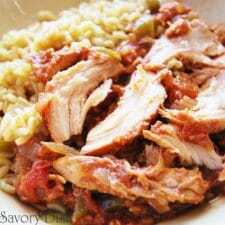 Want More Recipes from Kalyn’s Kitchen? 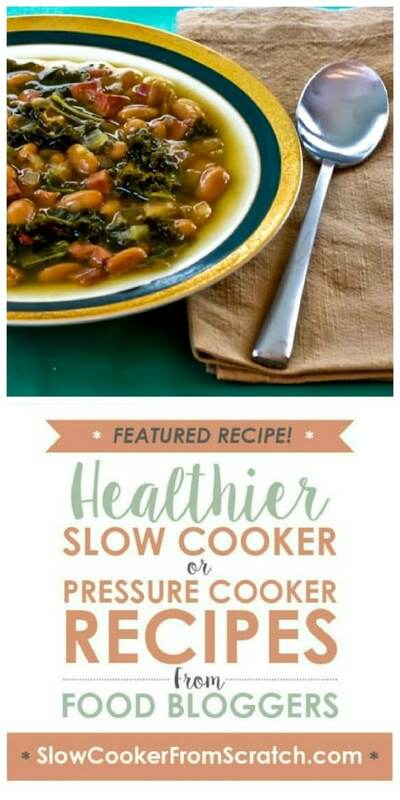 Use the Index Page for Kalyn’s Kitchento see all the slow cooker or pressure cooker recipes from Kalyn’s Kitchen that have been featured on this site.